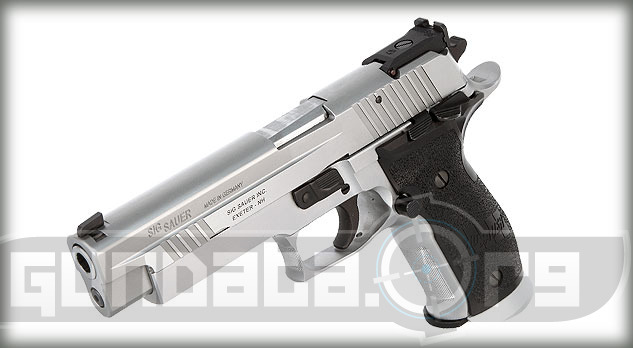 The Sig Sauer P226 X-Five Competition is a, semi-automatic, full-size framed handgun designed specifically for competitive shooting at the competitive divisions of the International Practical Shooting Confederation (IPSC) for bulls-eye and other centerfire target competitions. 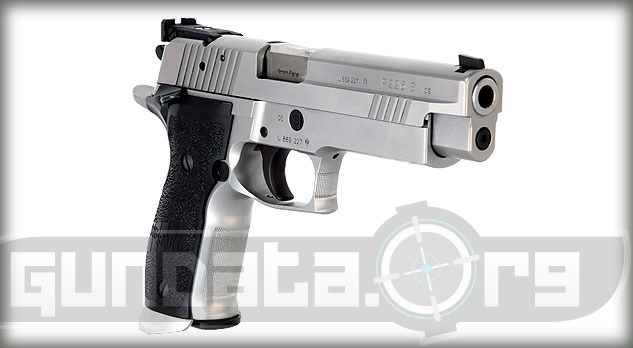 The P226 models are test fired at a range of 25 meters for accuracy by Sig Sauer. 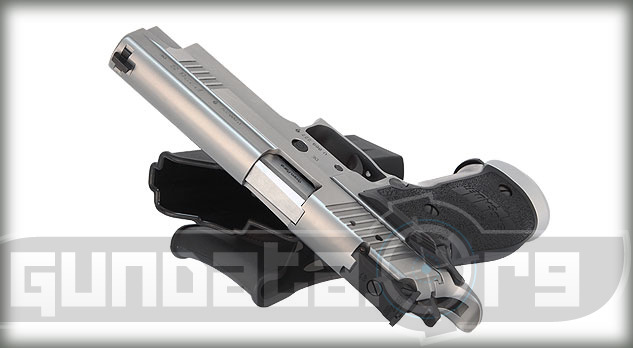 It has serrations on the front of the slide for easier loading of rounds into the chamber. The frame is a beavertail, with an ambidextrous thumb safety switch, and a stainless steel magwell on the bottom of the grip. 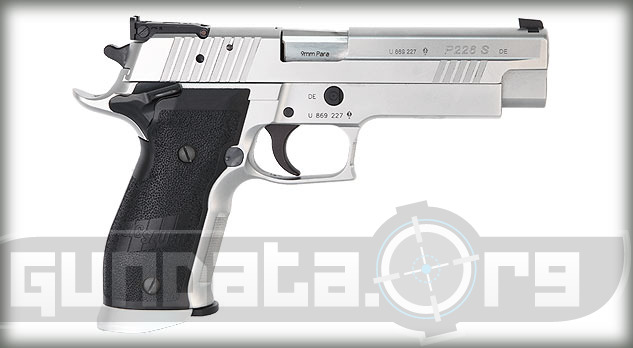 The overall length of the P226 X-Five Competition is 8.80-inches, with a height of 5.90-inches, and a barrel length of 5-inches. The frame material is made from stainless steel, and has a natural stainless steel finish. The slide material is also made from stainless steel, with a natural stainless steel finish. The grips are black polymer ergonomic grips with front strap checkering. The magazine holds 19-rounds of 9mm ammunition, and 14-rounds of .40 S&W ammunition. The sights are adjustable target sights for competition shooting.